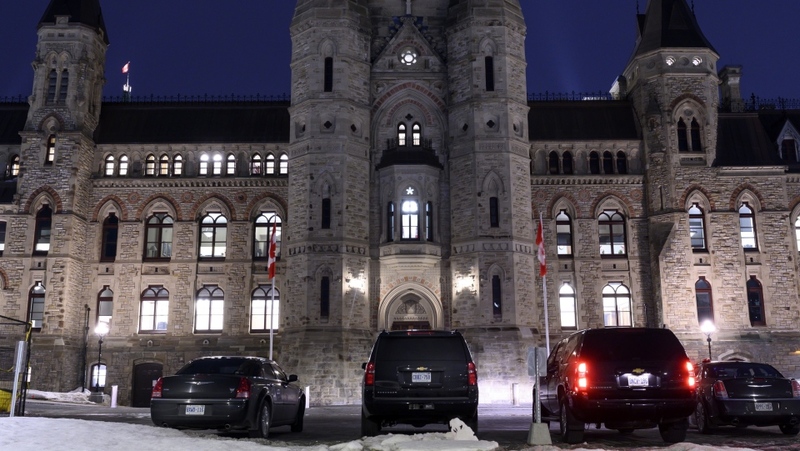 OTTAWA – The record-setting House of Commons marathon voting session over the SNC-Lavalin scandal has come to an end, more than 30 hours after it began. The standoff launched Wednesday by the opposition Conservatives came to an end around 12:50 a.m. Friday morning, after earlier on the government—hit by new comments from former cabinet minister and current Liberal MP Jane Philpott—experienced a close call on one of the 257 confidence votes. 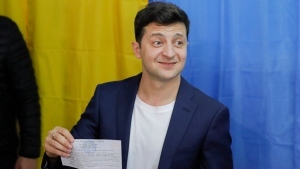 The longest yet voting marathon of this Parliament ended with relatively little fanfare, except for some jeers from the opposition benches, and applause from bleary-eyed MPs. 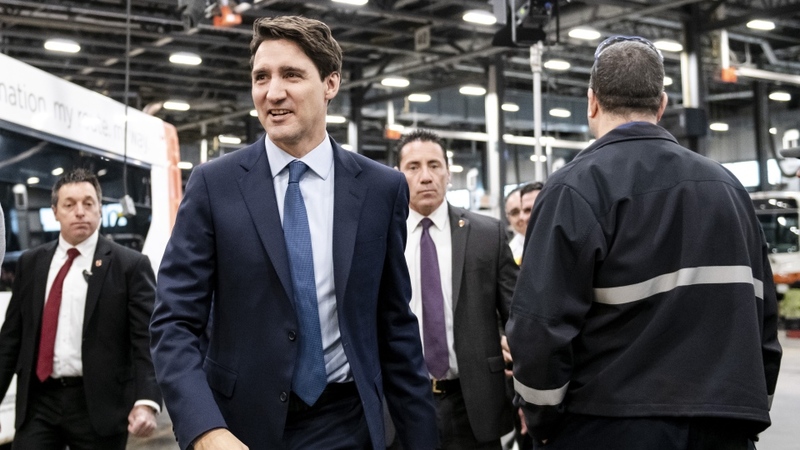 The continuous voting wiped out more than a day of government business, while the SNC-Lavalin controversy is set to wage on. Philpott, who resigned from cabinet earlier this month citing a loss of confidence in the way the government is handling the scandal, said in the interview that she believes Prime Minister Justin Trudeau and his top staff have been trying to “shut down” the story. “My sense is that Canadians would like to know the whole story. I believe we actually owe it to Canadians as politicians to ensure that they have the truth,” Philpott said. Proceedings in the House reached a fever pitch late in the afternoon on Thursday when it appeared the opposition may have caught the Liberals shorthanded and in a position of putting the government in peril over losing one of the confidence votes. During the reading of one of the motions, more than 100 votes in, according to several opposition MPs dozens of Liberal MPs scurried in, prompting the opposition to argue that their votes should not be counted because they were not in place in time. This led to considerable back and forth and had many onlookers on their toes at the prospect of the government falling on a confidence vote based on not having enough MPs in the chamber to vote in support of a single line item from the estimates. Eventually, assistant deputy Speaker Anthony Rota ruled that it was not his job to rule on where certain MPs were where they needed to be, and instead put the onus on the offending Liberal MPs to disqualify themselves. A handful did, but not enough to lose the vote and the proceedings continued. Despite this, opposition MPs continued to raise ire over the outcome throughout the night, imploring the cameras inside the House be reviewed to determine if the vote count as it had been established, was accurate. The Conservatives launched the overnight series of confidence votes on budgetary measures on Wednesday as their latest procedural display of outrage over what they consider a prolonged “cover up” of the controversy. At the heart of the affair: allegations from former attorney general and justice minister Jody Wilson-Raybould that she faced high-level “veiled threats” and months-long attempted political interference from senior government officials in the criminal prosecution of the Quebec engineering giant. Facing questions about this latest development during a budget photo-op in the GTA, Trudeau—who like his fellow leaders was in and out of the House over the course of the votes—dismissed Philpott’s assertion that more needs to be aired. Trudeau said there has already been a “fulsome” accounting of the scandal, with more work to be done by the federal ethics commissioner’s office that is probing the matter. Wilson-Raybould—who over a month ago first stood in the House and implored that she be allowed to “speak my truth”— told the committee that this unprecedented waiver still limited her. This was something former top Trudeau adviser Gerald Butts disputed when he testified. He also cast doubt on how Wilson-Raybould characterized some key interactions and cited SNC-Lavalin jobs as the Liberals’ main motivation. Both Wilson-Raybould and Butts’ testimonies occurred before the House Justice Committee, which was probing the matter before Liberal MPs shut it down on Monday, saying Canadians had heard all they need to make their own conclusions about the controversy. On Thursday, Trudeau also maintained that so long as both Philpott and Wilson-Raybould want to be in the Liberal caucus, they are welcome, even though during a meeting of the Ontario MPs in the Liberal caucus on Wednesday, members of the caucus expressed displeasure with Philpott. He already lost one outspoken Liberal MP from that province this week, Celina Caesar-Chavannes, who relegated herself an independent MP for the remainder of this Parliament. At least one Liberal MP isn’t holding back on her frustration over the slow drip of news that Wilson-Raybould and Philpott have been contributing to in relation to this scandal. She’s calling on her colleagues to “clear the air,” once and for all. “There’s no reason that Jane or Jody cannot go in to the House of Commons, [cite] parliamentary privilege, talk as long as they want, say anything they want,” Sgro said. 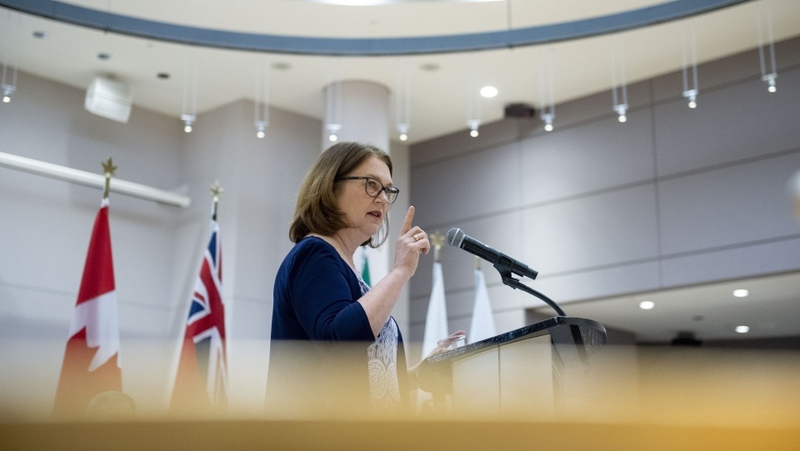 Sgro said that Philpott is “well aware” of how some Liberal MPs feel, and she said that she is concerned that the ongoing scandal is hurting Liberal prospects in the GTA, where she, Philpott, and Caesar-Chavannes all currently hold seats. “We don’t want to damage the party, we’ve got a lot of work to do and this is hanging over our head with this innuendo… if there’s something to be said and clearly there is, it’s an opportunity to say it to the Canadian public,” she said. This voting marathon is record-setting as the longest one of this Parliament. The next longest continuous stretch of voting was in March 2018 over the India trip affair. In that instance, the Conservatives also initially also pledged "about 40 hours" of votes, and it ended up being a 21-hour procedural standoff. This filibuster-type tactic was triggered after the Liberal majority shut down the latest in what has been a series of attempts over the several weeks to have Prime Minister Justin Trudeau take further steps to allow Wilson-Raybould speak further and in more detail about the scandal. Particularly the opposition have been keen to hear more about the series of events that unfolded after Wilson-Raybould was shuffled into veterans affairs. She has said that she believes what many saw as a demotion, was connected to her refusal to bow to calls to reconsider a remediation agreement for SNC-Lavalin, a measure federal prosecutors remain adamantly opposed to. Wilson-Raybould left the veterans affairs portfolio in the early days of this scandal, and there’s since been two federal cabinet shuffles to readjust Trudeau’s front bench following her and Philpott’s high-profile departures. Neither Wilson-Raybould nor Philpott were present for the opposition motion vote, nor were they seen in the Commons during the marathon session of confidence votes. Throughout the marathon, Conservatives voted against every line item, which Liberals used to try to score political points on social media, pointing out some of the government programs and services the Tories opposed. Though, from the Conservative’s perspective, their “no” votes were to signal they do not have confidence in the government. There were no normal House proceedings on Thursday as a result of the ongoing votes, meaning no question period, and no committee meetings. Among the committee meetings cancelled was the meeting of the House Access to Information, Privacy and Ethics Committee, where the opposition Conservatives and New Democrats wanted to discuss the prospect of that committee picking up a new probe of the SNC-Lavalin affair. That meeting is now set to happen next Tuesday, which is not a scheduled sitting day. There, the opposition will be advancing a motion seeking approval to launch what they call a “corruption scandal,” and to call Wilson-Raybould and Philpott to testify. “By shutting down the Justice Committee’s investigation into his involvement in the SNC-Lavalin corruption scandal, Justin Trudeau has shown his contempt for Parliament and the duties of its members to hold him to account. It is now more important than ever for the Liberals to waive privilege and to allow the Ethics Committee to investigate and report on its findings,” said Conservative ethics critic Peter Kent. In anticipation of the late-night sitting, cots were set up on the government side just outside the House of Commons chamber. Armed with the latest Philpott comments, opposition MPs periodically rose on various points of order to reference them and try to poke at the Liberals to see if there would be any movement on agreeing to re-open aspects of the affair. The voting concluded without the Liberals biting on any of these attempts, but all sides thanking the parliamentary staff that also worked around the clock to accommodate the session.
.@PierrePoilievre just offered- We can end voting and be out of here in 15 minutes (bundle remaining) if the Libs agree in writing to allowing at least 6 relevant witnesses to appear at ethics committee, including Jane Philpott and Jody Wilson-Raybould, w/out restriction. Fails.